Earlier today(July 24th), Molly Sims hosted the Alexa for Families event showcasing ways families can incorporate Alexa into their daily lives at the Event Space in New York. 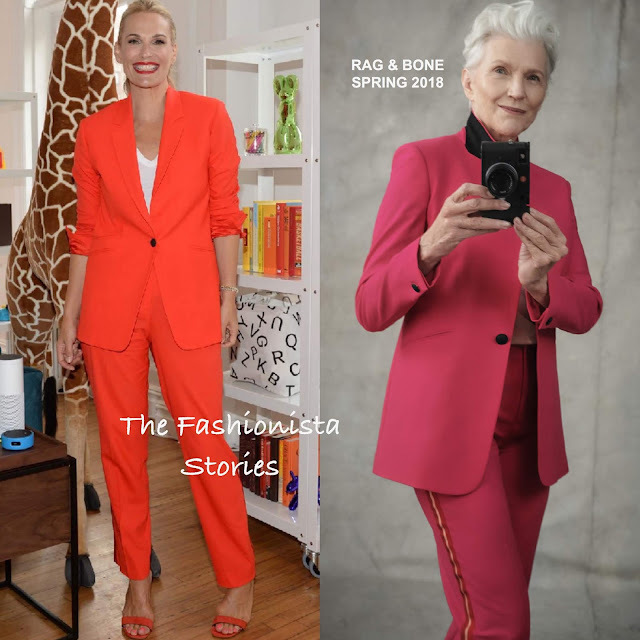 Molly could not be missed wearing this RAG & BONE SPRING 2018 vibrant red suit featuring a contrasting side stripe panel. Underneath her blazer, Molly wore a simple white tee-shirt which worked with the vibrant hue suit. The rolled sleeves added a cool touch to her masculine inspired look which was topped off with a ponytail and a matching lip & sandals.